Category: Baskets. Tags: basket, decorative basket, decorative fair trade basket, fair trade, gift, handcrafted, social enterprise, Swaziland. 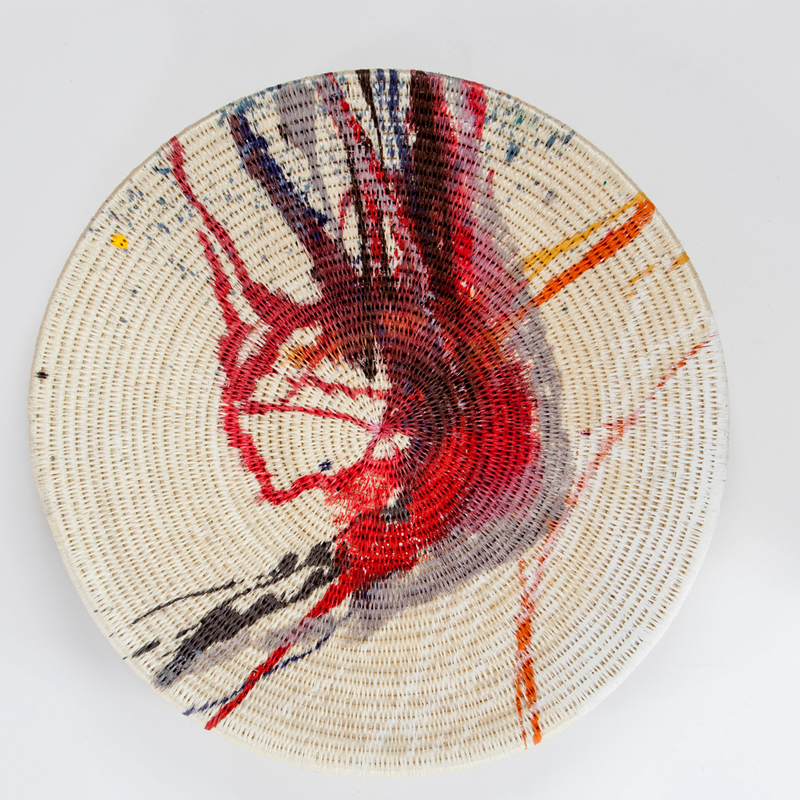 It’s a striking piece which would look great as contemporary wall art and could be combined with the other two hand painted baskets to create a feature wall decoration. Alternatively, it could be used as a large platter to display magazines, or fruit. Social enterprise Gone Rural has cleverly combined traditional handicraft techniques with contemporary designs to create decorative fair trade baskets to cherish. Gone Rural is a social enterprise founded in the 1970s, which works with over 750 artisans in 13 groups across Swaziland – from young women to gogos (grandmothers) and often with three generations of women from one family. It provides its artisans with self-employed, home-based work, empowering them with a sustainable income, which allows them to fulfil their traditional duties and look after their families.